You’re On Camera, Charlie Brown! / It's Just Movies You’re On Camera, Charlie Brown! You’re On Camera, Charlie Brown! 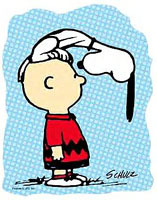 More than 60 years ago, the talented Charles Schulz created the beloved comic strip Peanuts. Schulz, who incidentally was rejected by Disney Studios, earned roughly $30 million annually from the characters he imagined through merchandise and product endorsements before his passing on Feb. 14, 2000. On Oct. 2, 1950, the first Peanuts comic strip ran and to celebrate the 65th anniversary, Snoopy and his gang will appear on the big screen on Nov. 25, 2015. “Ice Age” and “Rio” creators Blue Sky Studios and 20th Century Fox announced the news Today. The screenplay will be co-written by Charles Schulz’s son and grandson, Craig and Bryan Schulz, along with Cornelius Ulian. Steve Martino, helmer of “Ice Age: Continental Drift” and “Dr. Seuss’ Whorton Hears a Who,” is set to direct. We have been working on this project for years. We finally felt the time was right and the technology is where we need it to be to create this film. I am thrilled we will be partnering with Blue Sky/Fox to create a Peanuts movie that is true to the strip and will continue the legacy in honor of my father. Although I am excited about this news, I’m not too thrilled about it being animated in any other form than traditional animation. Part of the charm and appeal of Peanuts was through the rough two dimensional sketches, which may be ultimately lost should the film be rendered entirely in 3D. Cynicism aside, I have no doubt a Charlie Brown feature will do well. “Peanuts” was read daily by over 300 million people in 75 different countries. And if you’re like me, you’ll probably watch “It’s The Great Pumpkin Charlie Brown” when it airs Oct. 31 on ABC. What do you think about this news? Do you think Hollywood will get this right? Hit the box on your right with your opinions.